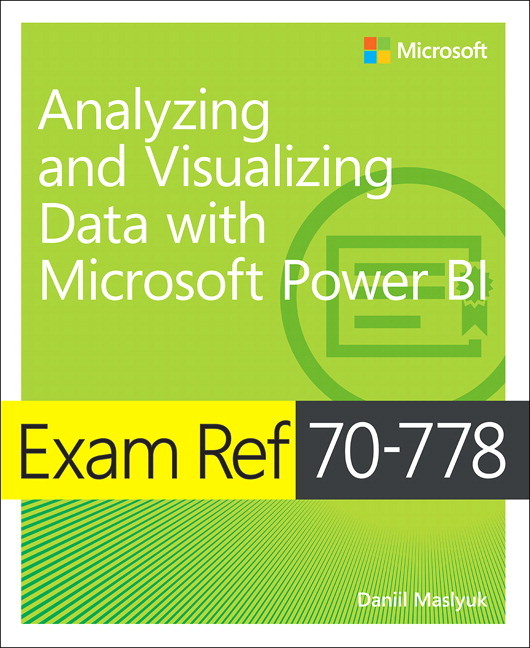 This is the official exam reference for Microsoft exam 70-778: Analyzing and Visualizing Data with Microsoft Power BI. Writing about a product that changes every month was quite a challenge. I did my best to keep the book as up-to-date as possible, so in the final weeks of writing (March 2018) I went through the whole book and updated the screenshots to match the then current interface. Writing a traditionally published book is a nifty experience! You get to work with various editors and get feedback on your writing. Also, what many other people say is true — to really learn something, teach others about it. 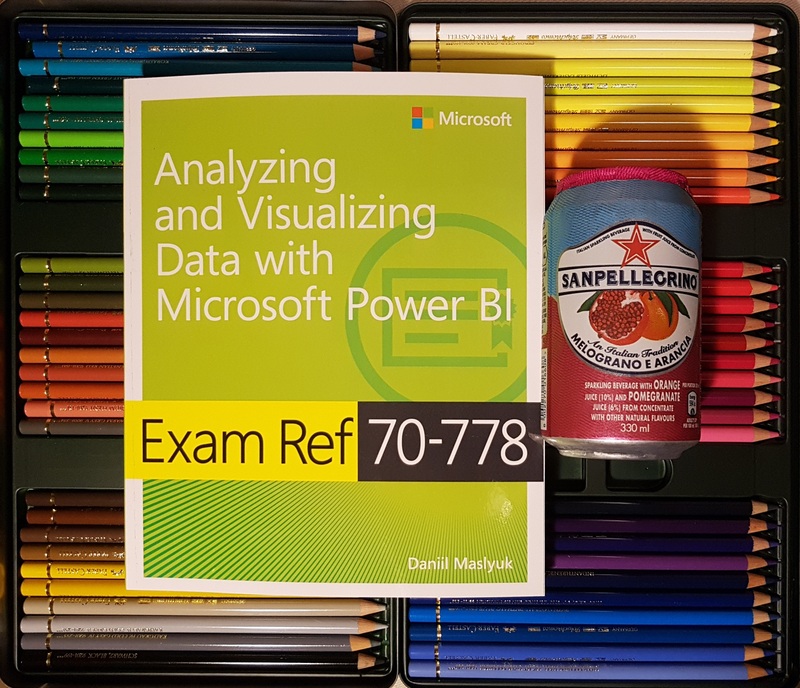 There were a few exam areas where my knowledge was below average, so I needed to do quite a bit of research to be confident enough to write about it. The writing process took me about six months in total, and this was my first book. I consider this to be a significant event, so I decided to celebrate. Some people would open a bottle of nice wine or something, but I’ve got something much better: Sanpellegrino Pomegranate and Orange! Update 15 July 2018: Thanks for your ideas, I decided to distribute the vouchers through user groups and presentations such as SQL Saturday. If you bought a printed copy of the book, you can download the companion files from Microsoft Press Store.